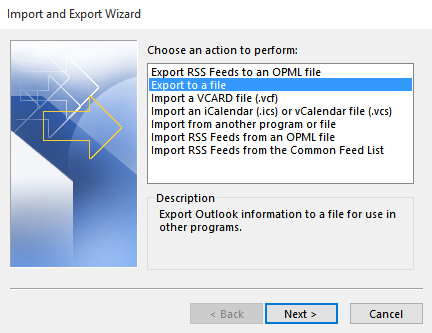 How to export Outlook calendar to Excel, iCal and CSV iCalendar (ics), vCalendar (vcs), CSV and Excel? First, refer to Difference Between iCal & vCal that explains differences between iCalendar and vCalendar. 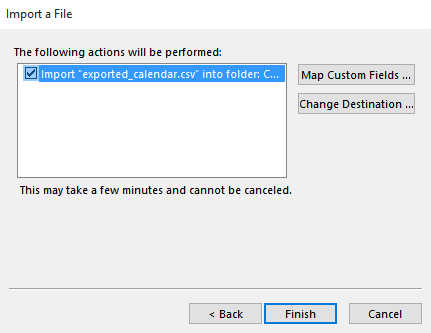 Then, you can make decision whether you want to export into iCalendar or vCalendar file format. 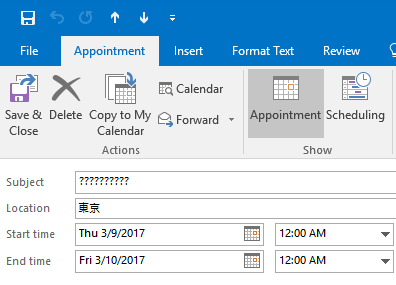 Character encoding: Here is an example: if you install the Korean version of Outlook and your calendar event contains any Japanese hiragana or katakana, then these Japanese characters will appear as corrupted characters in the exported vCalendar files even though they look OK in Outlook before exporting. Windows Time Zone vs. Olson Time Zone: Windows Time Zone system is only used under Windows itself while the rest of the world has been using Olson Time Zone. If you export your calendar events to elsewhere such as Google Calendar or other calendar services, then the receiving party will not be able to recognize it and fail the import. iCalendar has a file extension of .ics while vCalendar uses .vcs. Under Outlook, each of these .ics or .vcs file counts toward one event and it can be imported back in. The downfall of saving events into .ics or .vcs files is that you can only save one event at a time. Up to some point, it is not practical when trying to import a large number of events at once. If you try to select all your events and save them, you would end up with one single TXT file instead. 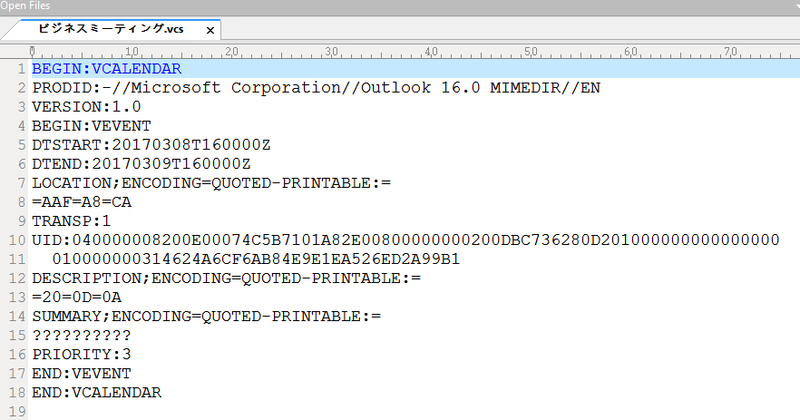 This TXT file cannot be used for import and it is probably good for printout. Click on Calendar at lower-left. Click on selected calendar event in the selected calendar folder under Navigation Pane of My Calendars. Click on File at top-left. Browse to location where you will be saving the iCalendar or vCalendar file. In the field below File name:, select vCalendar Format or vCalendar Format. Click on radial of Save Selected Appointment or Save Calendar <calendar name>; Whole calendar; Full details along with options in More Options…. Regarding character encoding in .VCS file format, if you open the .VCS file with a text editor such as UltraEdit or Notepad, you will find that if the event contain characters other than ASCII and the language version your Outlook was installed are all corrupted. Select the calendar folder you want to export under Navigation Pane of My Calendars. Click on VIEW from ribbon at top. Select Change View to the left. Click on List view below. Once calendar view changes to List, use hotkey of CTRL + A to select all calendar events and CTRL + C to copy all of them. Please note that the entry with a series of ? is the experiment result of importing .vcs back into Outlook; thus, please disregard it. Click on Mail at lower-left. Click on New Email at top-left. Fill in e-mail address you want to send your calendar events backup to. Click on body section of the newly created e-mail. Use hotkey of CTRL + V to paste all the calendar events you just copied to clipboard. Click on Send button to send calendar events to your e-mail address. Click on Open & Export. 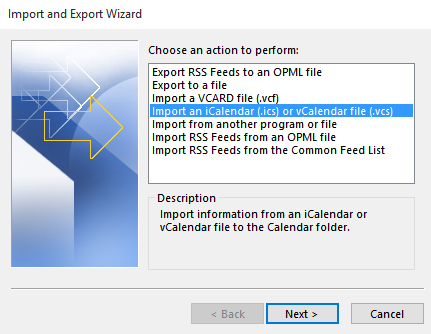 Select Import an iCalendar (.ics) or vCalendar (.vcs) and hit Next >. Browse to the folder where you vCard file is located. 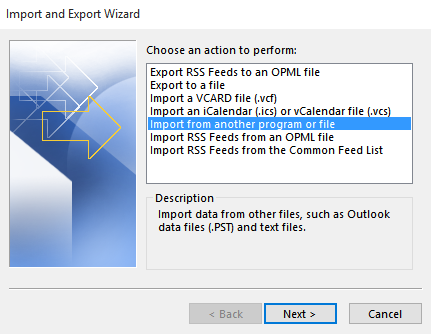 In file type pull-down list, select iCalendar Format or vCalendar Format depending on what file type you will be importing. Select the file and click on Open. In the next popup window, click on Open as New to create a new calendar event or Import to import directly to your Outlook default folder. 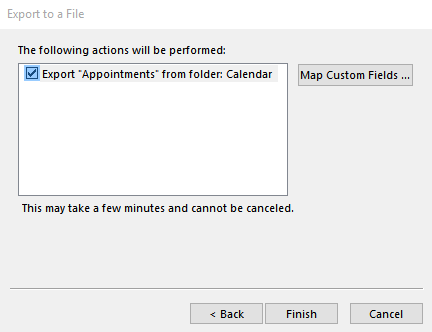 The above method will import iCalendar or vCalendar file to your Outlook default folder. 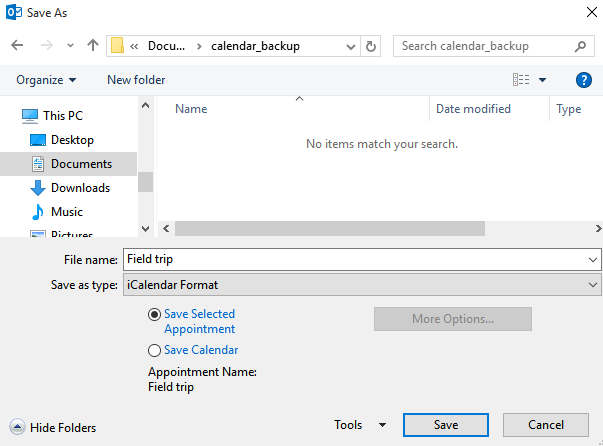 Therefore, it may not fit your need if you want the calendar entry to be imported at your specified location other than Outlook default folder. Yet, it is not efficient because it only imports one calendar entry at a time. Browse to the folder where your iCalendar or vCalendar files are located. Select one iCalendar or vCalendar file at a time. Use CTRL + C to copy all selected iCalendar or vCalendar files onto clipboard. Go back to Outlook and click on Calendar at lower-left. Select the calendar folder where you want to import calendar entries under Navigation Pane of My Calendars. Use CTRL + V to paste all iCalendar or vCalendar files from clipboard. At this point, what you need to do is to click on Save & Close button at top-left of the calendar entry. Note: .ics (iCalendar) files exported can also be imported into Thunderbird while vcs (vCalendar) is not an option. CSV (Common Separated Values) file is commonly used to store data for import and export in various software applications. 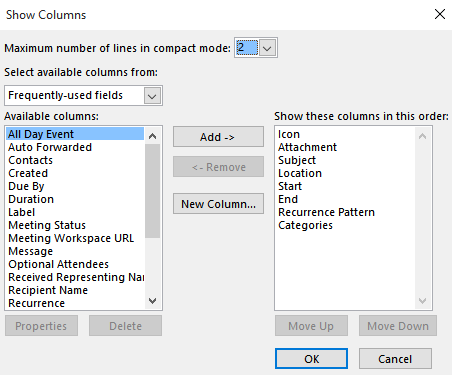 Outlook uses CSV to store its calendar event information since common (,) can be conveniently used to separate all fields. 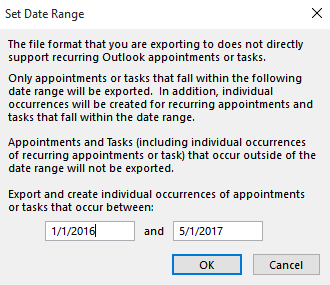 However, exporting Outlook calendar events into a CSV file has a potential character encoding issue that characters other than ASCII and the language version your Outlook was installed contained in the calendar event will be corrupted. For example, if you install the Korean version of Outlook and your calendar events contain any Japanese hiragana or katakana,which are not in UTF-8 or Unicode, then these Japanese characters will appear as junky characters or question marks in the exported vCard files even though they look OK in Outlook before exporting. 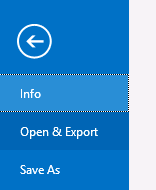 Select Export to a file and click on Next >. 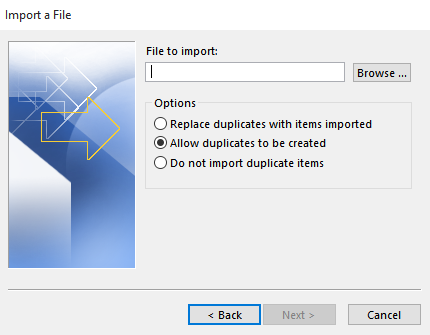 Keep Common Separated Values selected and click on Next >. Select calendar folder you want to export and click on Next >. Click on Browse button to browse a location for saving file. Enter file name and then click on OK and Next >. As an export result, non-ASCII or non-Unicode foreign characters will end up series of question marks that we mentioned earlier in this section. Click on Browse to the folder location where you keep the CSV file. Click on one of radials under Options. Select a calendar folder as your destination in the folder tree and hit Next >. Make sure item in action list is checked and click on Finish. As an import result, non-ASCII or non-Unicode foreign characters will end up series of question marks that we mentioned earlier in this section. CSV file exported from Outlook cannot be imported to Thunderbird perhaps due to incompatibility of field positioning. 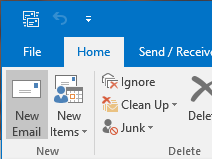 Outlook calendars are usually displayed in Calendar view. 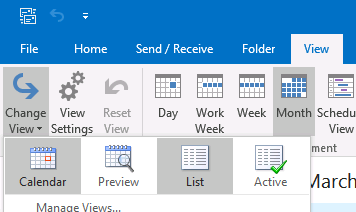 If we like to simply copy & paste Outlook calendar to Excel spreadsheet, then we need to change view to List view. By looking at the List view, some of the fields we use within calendar events may not be seen. Therefore, we need to make them visible before exporting. How? We add items via Add Columns. 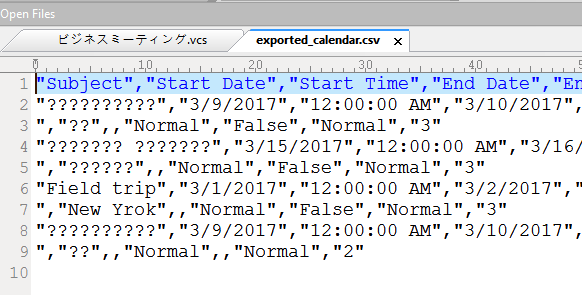 Copy & pasted calendar entries with foreign language characters are looking OK within Excel because Excel supports multi-languages. However, exporting the CSV file will result the same character encoding issue like exporting .VCS producing junky characters above. Click on VIEW ribbon at top. Click on List and calendar events will appear in a listing fashion. If additional fields need to be included, click on Add Columns. Select field such as Due By to the left and click on Add -> button. Then, Due By will appear in the list to the right. If you need to re-arrange order of fields, then select fields and click on Move Up or Move Down to change position. When you finish, click OK to leave the Window. Use hot key of CTRL + A to select all calendar entries and use CTRL + C to copy them onto clipboard. Switch to Excel where you open a new workbook. Use CTRL + V to paste all copied entries. 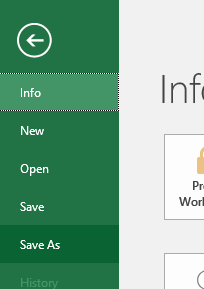 In Excel application, open the Excel file and click on FILE at top-left. Select Save As to the left. Click on Browse icon to browse the folder location where you want to save the CSV file. Pick a name for the CSV file. 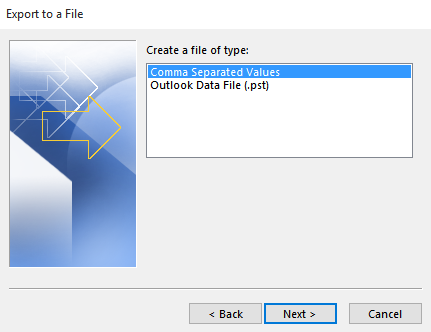 Click on Save as type pull-down list and select CSV (MS-DOS) or CSV (Comma Delimited).